Are you not satisfied with the impact your brand is creating on the market and potential customers? You should not worry as it is not entirely your fault. You came with the great idea of establishing the brand, but that doesn’t mean you have to know everything about promoting it and making it look good. You need a professional to show you how things are done. You shouldn’t worry about the budget because you only need to do this periodically, and there are creative agencies that can offer you solutions tailored to your budget. Such an agency is RPM, an exceptionally talented partner when you need to present your brand to the world. They can organize local events in which your brand will be displayed in a creative manner, in concordance with the message you want to transmit and personality you wish to imprint to your company. You have nothing to lose if you schedule a meeting with their team because you may notice that their ideas can be more than surprising. Just tell them what you expect and how you want your brand to be presented, and the team will make a plan to make it happen in a way that will make people remember you and look for you. They have already managed to do incredible events for a couple or well-known and less known brands. The same thing can be done in your case, but fitted to your requirements. Why spend your budget, which may not be too big in the case of start-up businesses, on marketing strategies that just won’t work? You need to offer something exciting and engaging to the present day customer because this is in demand. Such a creative agency may be exactly what you need, because they know the client’s behaviour and can help you get their attention in an efficient manner. And this is exactly what a marketing campaign should do, grab the attention of potential customers and put your brand in their interest. Traditional strategies just won’t work any more, because the needs and interests of the market and clients changed dramatically in time, so there is the need for a new and creative approach. If you ask some experts, they’ll dismiss, sometimes contemptuously, the idea of there being a separate, discernible ‘London cuisine’. They’ll say that if it ever existed, it has long since disappeared under a tidal wave of imported cuisines from other European countries, the Indian Sub-Continent, and the Far East. At face value, that is self-evidently correct. Stroll around the streets of the capital today and you won’t see very many restaurants proudly proclaiming that they serve ‘British Food’, and you’re even less likely to see any stating that they offer ‘London Cuisine’. However, that doesn’t necessarily tell the whole story. London was, until the mid-20th century, one of the largest ports in the world. As a result, it was naturally the first port of call for ‘invading’ cuisines. 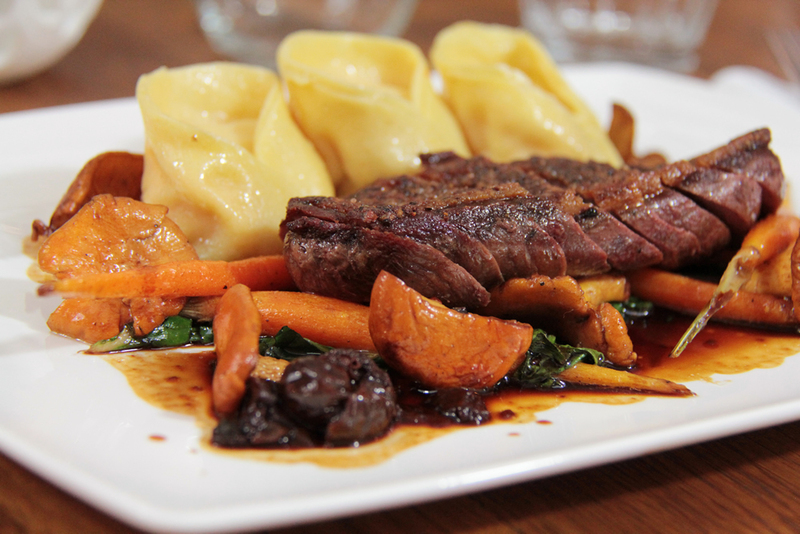 Certainly in the 18th century, French cuisine rapidly became a very fashionable way to eat and it, with some British trimmings, became the choice of cuisine for the rich and powerful. It has rarely been in danger of losing that position since. However, much of that passed ordinary Londoners by. Most locals had never even heard of Marie-Antoine Carême, and even if they had, they wouldn’t have been able to afford such gastronomic delights. Even by the middle of the 20th century, in spite of the arrival of many different cuisines in the capital, much of the working population continued to eat a recognisable and very unique style of London cuisine. Anyone who grew up in the centre of London during the 1950s and 1960s will remember that although there were French, Italian, Chinese and some Indian restaurants, they were heavily outnumbered (everywhere other than in the most affluent parts of West London) by typical ‘London restaurants’. The latter would have served such delightfully named items as the Pie-n-Mash, Fish-n-chips, Faggots, Pease Pudding and Saveloys. Sunday tea-time (a sort of early dinner not the cream-tea variety) would have consisted of shellfish such as cockles, mussels, brown shrimps, whelks and, more rarely, jellied eels. This was very much a distinctive London cuisine, with at least the shellfish component having roots back to Tudor times and before. However, as the 1960s wore on, this kind of authentic London cuisine went into full retreat. The austerity of the 1950s and earlier 1960s increasingly gave way to a London society, which, even at its base, had more disposable income. People began to experiment more with foreign, takeaway and above all, convenience foods. Foreign food became fashionable and traditional London fare was seen as dated and undesirable. The result was that within a single generation, the traditional specialities had come close to vanishing in some cases, with, for example, vast numbers of younger Londoners refusing to eat shellfish or fish of any type. The last bastions of traditional London-style food were the working class areas of the east and southeast of the capital. In the 1960s, many of these populations moved out into Kent and Essex taking their traditional food with them. So, as inner London became increasingly gentrified in the 1970s-90s, the traditional food of the area virtually vanished from the streets – however, it did transplant and survive, in a reduced way, in the counties mentioned above. Paradoxically , traditional London cuisine is making something of a comeback and is today being re-imported from outlying areas. It’s becoming easier and easier to find on the streets of the capital again – if you know where to look! You’ll probably see many beautiful buildings, stunning statues, and picture-perfect parks from the window of your Gatwick airport taxi as it makes its way into the heart of London. But, what about the city’s more hidden treasures? Hidden, not because they lie undiscovered by visitors, but rather in the more literal sense of the word: buried underneath the pavements, the charming cobbled streets, the railway tracks and towering buildings. London is a city with centuries of history. From its beginnings as a sleepy medieval town, it has experienced a striking transformation into the bustling, cosmopolitan capital it is today. Along the way, however, many bits and bobs of history have been buried or simply forgotten. 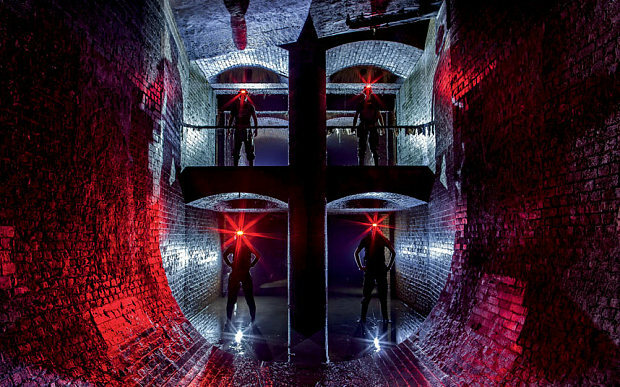 If you’re a history buff, a London lover, or just someone with an eye for the extraordinary, here are some just-beneath-the-surface places that are well worth a visit. At the start of the Second World War, in 1939, air raid shelters in London comprised mostly of trench systems, building basements, and underground stations. In October 1940, however, as London was relentlessly bombed, the government decided to make safer deep-level shelters a reality. Clapham South was one of them, and its entrance can be found in Clapham Common. A double spiral of stairs designed to speed entry and descent into the shelter’s main body runs 30 metres deep. At the bottom of the stairs, a number of cross passages can be found. These provide access to the main shelters and consist of two tunnels, each divided into upper and lower levels. Once you’ve made your way into any of the shelters, you’ll see the bunks’ original frames. Some rooms even have original fittings and objects such as suitcases and board games scattered around, depicting how the shelter would have looked when it was being used. This helps to make the reality of war in the now-splendid city of London much more present than any visitor would think whilst looking at it for the first time through the windows of a Gatwick airport taxi. You will also discover a host of interesting tidbits of history whilst inside: for example, the shelter’s canteen actually served items such as meat pies and sausage rolls—a remarkable fact if we keep in mind the rigorous rationing controls in place at the time. Head underground and you’ll discover even more mind-boggling facts about WWII. If, instead of booking a Gatwick airport taxi to your accommodation you’ve decided to brave London’s complex public transport system, and loved every minute of it, you might be interested to know that some old, abandoned stations are open to the public. One London gem that’s buried deep underground is the unused Jubilee Line platforms in Charing Cross, along with the tunnels used to build the station—some of which run underneath Trafalgar Square. When, in 1971, building works started on a brand new underground line (then called the Fleet Line), plans indicated it would run from Stanmore to Charing Cross, and eventually into the City. Queen Elizabeth II’s Silver Jubilee in 1977, however, led to a change to the new line’s name, and in 1979, the Jubilee Line finally opened. Soon after, however, major redevelopment works in London’s docklands area meant that the Jubilee Line was redirected from Green Park towards Westminster and Canary Wharf, terminating at Stratford. This completely bypassed Charing Cross, and the Jubilee platforms closed in 1999. Nowadays, the platforms, tunnels, and escalators are in excellent condition and are often used as sets for movies and TV shows, including the Bond film Skyfall (2012). 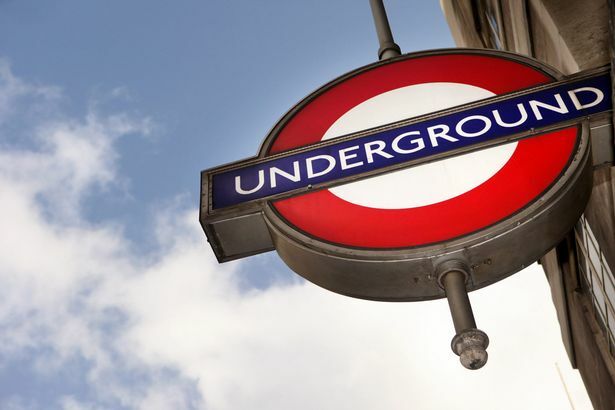 Whether you’re a screen enthusiast on the lookout for the filming sets of your favorite films and series or a history enthusiast in search for a more in-depth understanding of London and its evolution , the city’s underground wonders should not be missed. One of the most renowned destinations for theatre fanatics anywhere in the world, London will rarely disappoint with its on-stage productions. Even if you have booked last minute and need to go straight from the plane to the play, the convenient Gatwick airport taxi services will help you make it in time! Some of the highlights of the autumn season have started already, and some are yet to come; what is undisputable is the quality of what is on offer on the last few months of 2015. Make sure not to miss this wonderful experience. Playwright Simon Stephens and director Ivo van Hove come together in Song from Far Away, a delicate and devastating 90-minute monologue delivered beautifully by Eelco Smits. Smits plays Willem, a Dutchman who left for New York 12 years ago and never looked back. When he receives news that his brother has died, he returns to Amsterdam, where the play unfolds. This touching and innovative show is one to check out before its final curtain call in late September. The Barbican’s most awaited show of 2015 has hit its stride: Lyndsey Turner’s Hamlet is an unquestionably ‘must-see’ production with an impeccable Benedict Cumberbatch playing the leading role alongside an incredibly talented ensemble. Visually, this is one of the most stunning shows many theatregoers will have been witness to, and the three hours of Shakespearean English will fly by once you are submerged in the famously meandering but always purposeful plot. The only catch is that advance tickets have sold out and, in order to be one of the lucky people who get an on-the-day £10 one, you will probably have to queue from the early hours of the morning. Here is a solution: book a cheap, last-minute late evening flight and get a Gatwick airport taxi to take you directly to the Barbican, where you can be first in the queue for when the box office opens at 10:30! Opening at the Savoy Theatre in December 2015, Guys and Dolls has come back to the London stage for a new, revitalised run. Often referred to as the greatest musical of all time, this production boasts a superb cast that brings a new kind of energy to the show. Musicals are the perfect way to bring together theatre lovers and those not so keen on sitting down for over two hours, including the younger members of the family. The witty dialogue, well-crafted, sparkly outfits and loud, cheerful singing will most likely mean very happy children (and adults) afterwards. 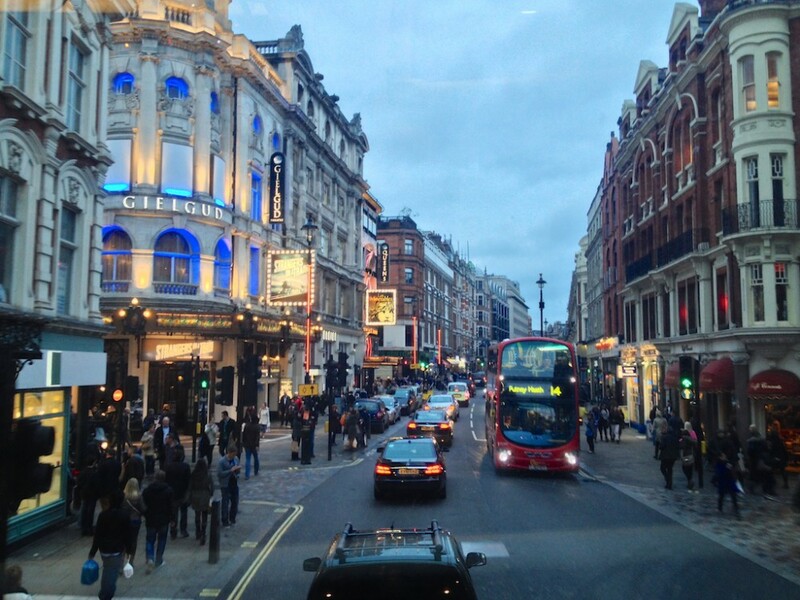 It is always useful to ask locals for advice, and Gatwick airport taxi drivers will be more than happy to give you some tips on how to navigate London’s public transport to get to the West End and they might even have a play to recommend. Once you’ve decided on what you’ll be seeing, make sure to map out the route you will be taking there and, most importantly, back, especially as the Tube may have stopped running by then. However London’s night buses will be running , as well as the ubiquitous black cabs. If you’re visiting London for the first time and landing, at Luton, Heathrow or Gatwick, airport transfers are the simplest method for beginners to get across the city to wherever you’ve booked your accommodation. You can pre-book and the driver will be waiting for you at the terminal with a smile and plenty of space for your luggage. Once you’ve settled in from your Gatwick airport transfers, London is waiting to be explored. This is a city where anything can happen and, as locals will tell you, this unquestionably applies to public transport! If you’re planning on tackling the infamous Tube, follow these tips to make the journey as pleasant as possible. Especially if you are travelling with young children, bathroom breaks cannot realistically be timed to conveniently happen either before you leave the hotel or after you get to the museum. A great London hack is the Transport for London’s toilet map, which clearly indicates those tube stops with and without a bathroom, including the ones with baby changing facilities and those accessible for wheelchair users. Be aware that on the Tube distances can often be distorted: what may seem like an unthinkable journey on foot might actually be only a few minutes away, so it is worth double-checking your map before setting off on your underground journey. For example, if you’re on the Northern Line and want to get to Covent Garden, you can easily get off at Leicester Square and walk. What would entail one change and manoeuvring an incredibly busy station is, in fact, a five-minute walk, and you will also get to see one of the most famous squares in the world on the way. If, despite all your efforts and preparation, you accidentally manage to get on the wrong branch of the Metropolitan line (for example) or find yourself going in the wrong direction, relax. Tubes run every two to seven minutes, depending on the line, so just gather your thoughts and get off at the next stop. Doubling back on yourself is free, and it can even be a fun opportunity to get the whole family involved in looking out for a wrong turn on your public transport ride. If your experiences on the London Tube turn out to be memorable for the wrong reasons , remember that Gatwick airport transfers can also be booked for your journey back to the airport! London is justly famous for its art, history and culture, and everywhere you go in the city you will come across its iconic monuments and attractions. The usual arrival ports into London are Heathrow or Gatwick airport. Transfers from both are easy and efficient whether by train, bus or private car. While traveling into London on Heathrow or Gatwick airport transfers, you are likely to pass several of the famous monuments along the way. World renowned buildings and gardens are dotted throughout the city, but if you are a traveller of a more discerning kind and want to hunt out something a little less tourist focussed, London also has plenty to offer. Your Heathrow or Gatwick airport transfers driver may well have a suggestion or two for you, and the Kyoto Gardens is one that quite often pops up. 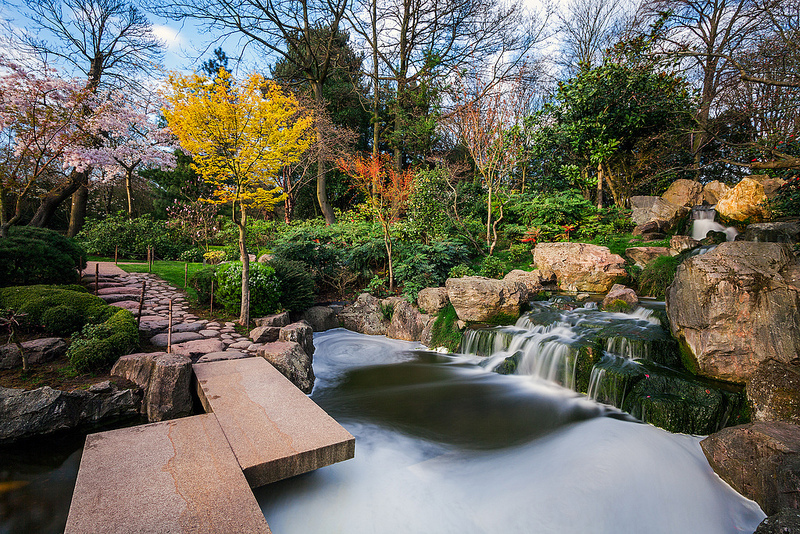 One of the most beautiful hidden gems in London is the Kyoto Gardens, located in Holland Park. Tucked away in the elegant district of Kensington, this stunning park is frequented by the likes of actress Joanna Lumley. With secluded corners, higgledy paths, beautiful pieces of sculpture, and much more, this park is a true haven of tranquillity. It may be small in size when compared with Hyde Park and Richmond Park but this is part of Holland Park’s charm. There is a playing field ideal for spontaneous games of cricket or football, an ecology centre, an orangery and an opera house that hosts garden performances during the summer. The ecology centre promotes understanding and awareness of the importance of the local wildlife and environment, running school education programmes and providing information on a formal and informal basis. The centre is involved in protecting local nature sites and developing conservation initiatives, as well as advising on open space management and biodiversity enhancement. The Kyoto Gardens are a peaceful representation of a Japanese paradise in an English setting, and offers the perfect respite from the hectic city. Opened in 1991, the garden was a gift from the city of Kyoto as commemoration of the long and strong friendship between Japan and Great Britain. As would be expected, the gardens have been designed to emphasise key Japanese garden features, such as stone lanterns, tiered waterfalls and beautifully coloured fish. Peacocks wander freely and their constant vocals blend harmoniously with the noise of the splashing water. The best thing about the Kyoto Gardens is that they are free. So, once you’ve settled in from your Heathrow or Gatwick airport transfers , make sure you pencil in an hour or two in this very special place. Visiting Kensington is an indispensable item on the itinerary for anyone staying in London. With its amazing and varied shopping opportunities, its beautiful gardens and green spaces, and its stunning Georgian architecture, there is always somewhere to explore and something to do. 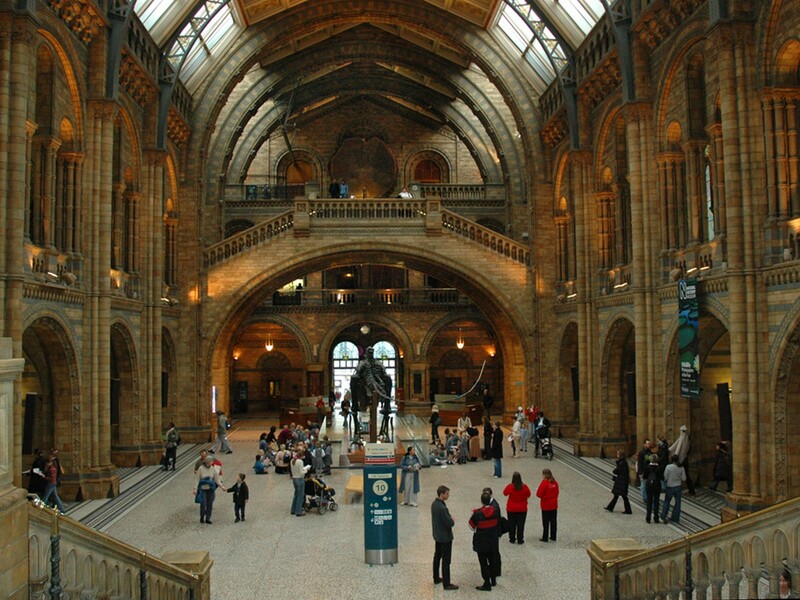 If what you are looking for, however, is the chance to learn new things and view incredible artefacts from all over the world, there are plenty of museums around the area, too. Cosmonauts: Birth of the Space Age is a wonderful exhibition that can be found at The Science Museum, which is situated in the heart of Kensington. From September 2015 until March 2016, you can visit and learn more on the riveting story of how Russia achieved the dream of space travel when, in 1957, it launched the world’s first artificial satellite, the famous Sputnik. Boasting the most remarkable collection of Russian spacecraft ever to be on display in the UK, when you’re visiting Kensington this exhibition is a wonderful alternative to the busier streets, as well as an intellectual safe haven on a rainy day. Heading into outer space is no mean feat, and this exhibition portrays cosmonauts with as much respect as it does their spacecraft. From the difficulties that become the norm when you live in a space station to the superstitions held by those living there, Cosmonauts is a wonderful chance to put a face and a name to those behind some of the most important achievements of the twentieth century. Although men have dominated space travel from its infancy, Cosmonauts doesn’t forget about the women who also made history. In a fascinating section of the exhibition, you can learn all about Valentina Tereshkova, who, in 1963, became the first woman to go to space. A textile worker and amateur parachutist, Tereshkova competed against 399 other candidates for the chance to travel aboard Vostok 6, and became an inspiration to girls and women who had never before aspired to pursue careers in science and technology. I Like This! What Else Can I Visit? Do you want to learn more about history or observe fascinating relics from far and wide? Visiting Kensington will prove a great choice! The Victoria & Albert Museum boasts exhibitions ranging from architecture and fashion to books and metalwork, and it is free and open daily. You will also find The Polish Institute and Sikorski Museum, founded in 1945 by Polish exiles that lived in London when Poland came under post-war Soviet control. It contains thousands of artefacts from the war, as well as photographs and documents, and it is a great hidden gem for World War II fanatics. Travelling to London, and visiting Kensington in particular, can truly allow you to feel like you’ve entered another place and era , within just a few minutes’ walk of the modern centres of the city.